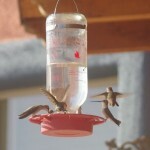 Black-chin hummingbirds gather at the feeder for nectar. When we decided to build Down By The River, we wanted to be one of the Tucson Audubon B and B affiliates. We looked in Southeastern Arizona for the location that would allow us to be a Tombstone B & B but also near the San Pedro River for the birding activities. Our desire for the combination of the two things wasn’t feasible, unless we could find a way to reroute the San Pedro River. Oh and there wasn’t even a small glimmer of hope for that, don’t you know! 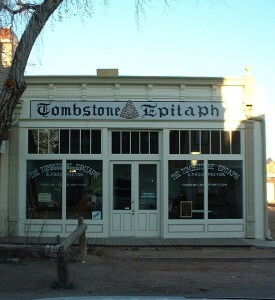 The next plan was to find a location on the San Pedro River for our B and B but near Tombstone. After a long search and with some help, we found the land here in St. David to build our San Pedro River b and b. 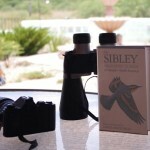 The birders tools vary but usually binoculars, camera and book to ID the birds are the main items used. Tucson Audubon B and B affiliate, and I always thank Jennie who is willing to help me out with some ids when I have sighted something I can’t identify. It usually is a morph of a common bird that I have found and I get an answer relatively quickly. Along with Sibley’s reference, we have found a website that does help out with many identities so I don’t have to bother anyone very much. 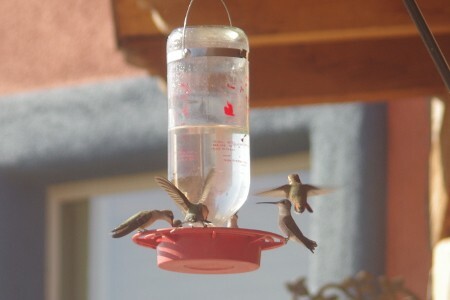 We have had many Audubon members come and stay at our Tucson Audubon B and B, some of which have found us through the Tucson Audubon website others by word of mouth. We have a great time with the birders that come and many show us the wonderful photos that they have taken during their visit to the area. Some even give us copies to put up on the website and we do credit them when we post a picture. In February, we had two guests, who were working on their big year. During their stay with us, they were able to add to their list right here from the patio and on the back property toward the river. 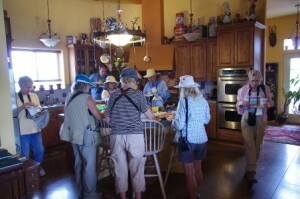 Our Tuscon Audubon B and B affiliate hosted a field trip lead by Cliff Cather. 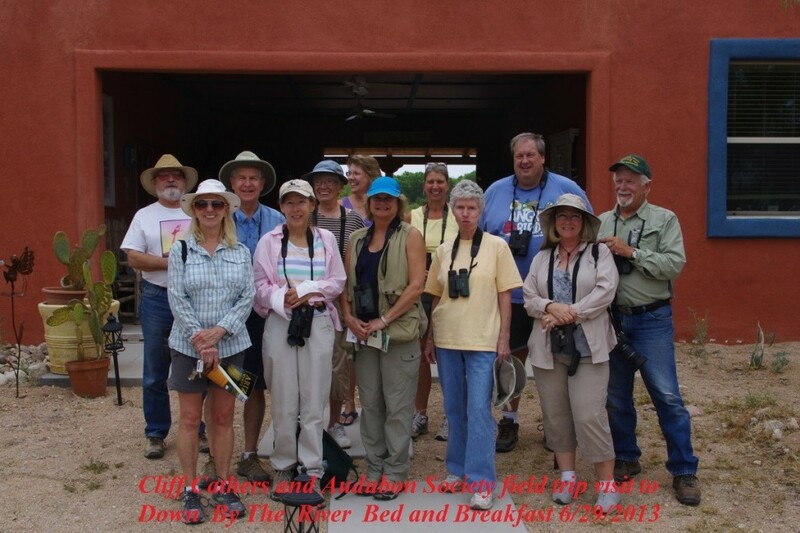 The Tucson Audubon does many field trips down to locations in Cochise County and the San Pedro River specifically. 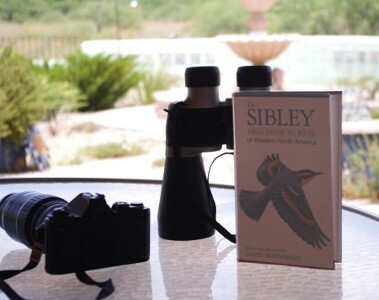 In June, the Audubon had a scheduled field trip to Cochise County with a stop in Willcox and then they were stopping in St. David as they returned to Tucson. We kept in touch with Cliff, who was guiding the tour and he was able to stop here at our Tucson Audubon B and B. When the group arrived, Angie and I introduced ourselves and gave the group a tour of the B and B and the grounds. We also provided them with some light snacks and drinks. We had many compliments about what we have here and many told us that they would like to return to further explore the area and the San Pedro River. They discovered that we are centrally located and why we call ourselves “The Lodging Hub of Cochise County”. 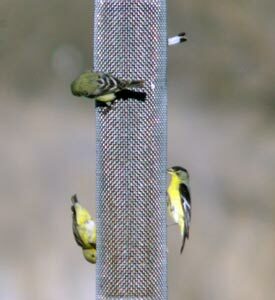 The next time you are planning a trip check us out and see for yourselves how great this birding area is. Cliff Cathers, The tall man in the back, and Audubon field trip group photo taken during their visit. This entry was posted 6 years ago on Wednesday, July 17th, 2013. and is filed under Events and Things To Do, Nature.